JUST THE FACTS You could win a $200 gift certificate! All the answers are in your hand! Simply look up the vendors in this issue and fill in the blanks. 1: Haka Services, LLC: General ____________________________________________ Services 2: Premier Professional Cleaning Services: “Where you go for a _____________________” 3: Kings III Emergency Communications: Help Phones for ___________________________, Pools, & More 4: Tri-County Pools Service LP: Maintenance, ______________________________________, Renovations, & Construction Specialists 5: JenPro Roofing & General Contracting: Serving Central Texas Since ________________ 6: Bartley Construction, Inc.: Fire & Flood __________________________________________ 7: Commercial Equipment Company: Your ____________________________ room experts! 8: Foundation Specialists, Inc.: _________________________________ Years Of Experience 9: Flavor Finish: Bold, Beautiful, ________________________________________ Resurfacing 10: Hoss Construction, Inc.: Home is where the ___________________________________ is. Your Name _______________________________________________________________________ Property Name ____________________________________________________________________ Address _________________________________________________________________________ _________________________________________________________________________________ Email _____________________________________________________________________________ Phone# ___________________________________________________________________________ CONGRATULATIONS to our March / April Winner... Jeffrey Simon of Bell Austin Southwest Apartments! 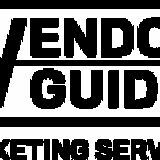 Mail your completed contest entry to The Vendor Guide, 2900 Gateway Drive, Suite 625, Irving, Texas 75063 or fax to 972-550-0233. The winner will be drawn and announced in the July / August 2019 issue. If you see your name, call Monica at 972-550-1880 ext. 215. Only one entry per person, per issue. (Hint: Find the vendors in the handy Alpha-Dex located at the back of the book!) Good Luck! Deadline for entries is May 22, 2019.
frequently in my tenure as a property manager. It has allowed me to find trustworthy vendors in record time so that I could spend more time focusing on my residents. Also, having the ability to request bids from multiple vendors via your website has certainly been a game changer. also fallen head-over-heels for the little extras such as the “Just The Facts” game. Not too long ago, I was actually a winner, and I promise that $200 was well spent. the little extras that give your property the edge it needs to secure more leases. For example, with summer coming soon, current and potential residents are looking at areas to spend their relaxing time, which makes beautiful outdoor living spaces, an inviting pool area, and a comfortable clubhouse key check points on their lists of “musthaves”. Creating and revitalizing such amenities is 2 S-D Construction’s specialty. Believing that relationships matter is at the heart of everything they do. 2 S-D Construction strives to build partnerships with all of their clients by delivering workmanship that exceeds expectations while staying on schedule and within your budget. For more information on how they can help you renovate your community, call (830) 6272734. Also, see their ad on page 60.
residents, the options are endless. property with an eye-catching pool. (512) 990-8899 for a free estimate. Also see their ad on page 107. All Service Air Conditioning	& Heating, Inc.